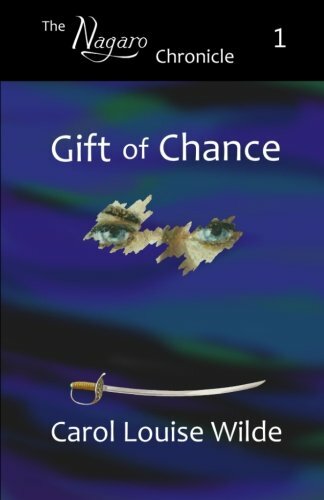 “Gift of Chance” is the first book in the Nagaro Chronicle series by Carol Louise Wilde. It begins when a young man wakes up in a strange land with no memory. A fisherman’s family takes him in and cares for him. He takes on the name Nagaro because it means “no one,” and this is how he feels. Nagaro’s looks are recognized as being from another culture, that is far away. As he begins adapting to this new life, his memories slowly start returning. He soon realizes it is best staying where he is at, rather than returning home, because doing so would once again put his life in danger. Horrific acts by outsiders force Nagaro to take on the role of being a slave on a ship. To escape from this, he has to take on the role of a leader. He does not feel ready for this but does what he has to in order to help himself and others. While he is protective of who he is, people start to suspect his identity. During this time, he also continues to evolve and grow into an incredible human being. He does not allow his circumstances to change his core values and spiritual beliefs. I loved reading “Gift of Chance” by Carol Louise Wilde! The author has a gift for developing a complex story with vivid scenes and well-developed characters. The protagonist’s journey takes us to unique places that have distinctive cultures. Part of Nagaro’s journey involves not only learning about who he is, but also about the cultures of those around him. I really enjoyed this aspect of the story, especially since I know that there will be forthcoming books in this series, and this helps lay a really good foundation for what is coming. Character development is very strong in this story, and it not only happens to the protagonist but also to some supporting characters. There is some violence in this novel, but no sexual scenes and as such, I believe it is appropriate and will be enjoyed by readers of all ages. I look forward to reading the next book in this series!